Watches of Knightsbridge are presenting an auction of watches on March 17th here. Also you could go to my friend @ewand ‘s post over on Omegaforums.net here and see the photos, and his very good assessments. However after seeking legal advice I can now point to the images from this page, allowing you to have it all on the one page. I have spent some time studying this sale. It would be easy to dismiss the speedmasters here as all being overpriced and not good quality. But I think that is an error (one I nearly made to be honest). Because after going through them in depth, I think they all have something to offer, and while we might say they could be a little high, I suspect they will all sell and therefore (by definition) they are priced within what the market will pay. In general the photos are sharp, but not able to help me full appreciate the watches, with dust, lint or crystal damage that without further images from different angles it is hard to make judgments.. More photos of each lot would have helped make judgements on the states of the dials and location of damage. The Ed White is especially interesting, and I think completely misjudged. See below for my ideas. The other watches are fairly run of the mill, possibly from owners possibly from the dealers of Portobello, but they often flip watches untouched so not a bad thing. I think WOK are offering a range of watches not easy to see elsewhere. I don’t think they are cheap, but they are there. The photos shown here are not hosted by me, nor copied from Watches of Knightsbridge. I am happy to enable you to see the WOK images by embedding them, not hosting and therefore there is no infringement of copyright. I have to say I look forward to any WOK sale as they always produce an interesting, varied and packed sale, with lots of interesting watches that do not often come up in the bigger auctions. The catalog is always a pleasure to read for its variety. Here I will only concern myself with the speedmasters, as that is all I know. This post is a preliminary look through the catalog, and I hope to add more information later. Because of the standard of curation we need to view these in hand to fully be able to value them. (Again, not a criticism – I like this sale for that, it means we see a wide range of qualities and therefore more watches). 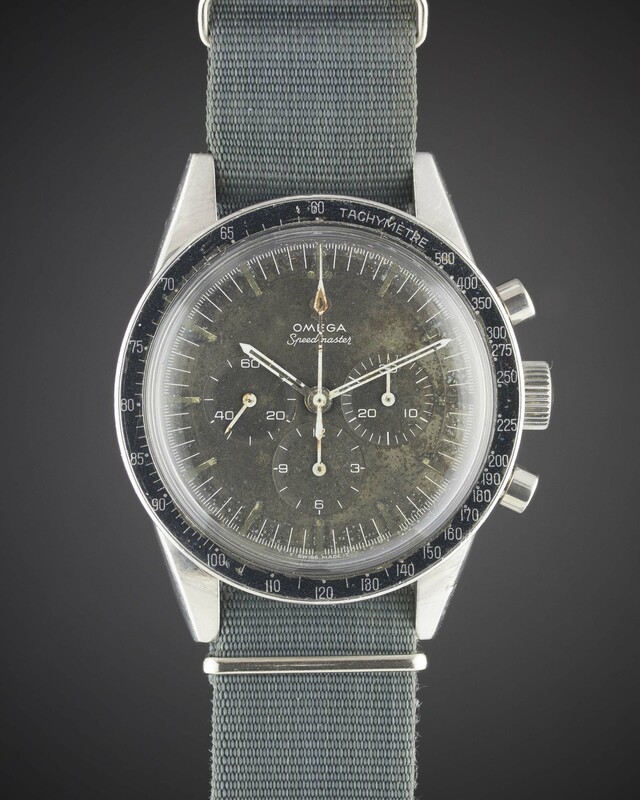 It is great to see all these early speedmasters in one sale. Photos look good, until you try and get solid information from them. (Good from far, Far from good). Watches all have one or two images (Except for Lot 194), that is hard to glean value influencing information. This sale needs to be viewed and when I have I shall adjust these notes. Auction fees here are 24% incl VAT (Reasonable compared to the grownups). Most bezels are unusually poor. A good selection of what might be original watches, that do not show dealers preparation. At first glance this does seem a lot of money for a damaged watch. I don’t think those decayed, but matching(!) hands and dial will ever look good, but they might, and appeal to a real patina junkie. Mrs Fruit looked over my shoulder and remarked that it looked like it has lived too long in a dirty ditch, and I think that is a better description than Tropical. “Ditch Dirty”. I love this watch, and I think it will sell. The auctioneers describe this watch as having a good condition tropical dial. This should tell you a lot about this auction house’s standards, the standards of the people in it, and their demonstrably limited knowledge in assessing watches. How can you call this a “Good Tropical Condition” ? Please do not interpret this as an insult – I am merely pointing out that anyone looking at this sale cannot (demonstrably) rely on anything the staff say – so, you HAVE TO DO YOUR OWN DILIGENCE. Now lastly, you could look at this the other way round. What is a papered Ed White worth with a nice dial? Well a nice one has to be around £15,000 today – could this watch, with a nice dial be worth that? So then we start to think, could we buy this for £8000 or even as much as £10,000 and then go shopping for a dial? The dial might cost as much as £5000 and it would still make sense. So I can now see where WOK’s valuation comes from. This does assume that the rest of the watch that we cannot assay is good, the movement the case etc. I think a dealer will buy this. This might be quite nice, the dial has a potentially pleasant fade. A fair DO90 bezel, though a bit faded. There are plenty of photos on the site to enable a much deeper assessment. I really want to like this watch, its on the line between patinated and shagged. The dial needs inspection, or at least some photos which I am sure WOK will send you if you ask (they are very good about supplying additional photos). However with 24% fees the high estimate puts it above some better watches sold in the last few months, and I so not think this will fly. UNLESS on viewing that dial looks nicer than it is. There is a mark at the 7 minute marker that is on the crystal or on the dial – which it is will make a huge difference to the price. The movement shows plenty of signs of work, and could be tidied up. The movement is attached to the movement ring incorrectly, and so demonstrates a non-qualified service history – which could indicate some deeper problems in the movement. CB case, with Extract. Good bezel, except where it is chipped, slightly “meteor”. Appears original pushers which is attractive. I have a feeling this will look good in hand. Good evidence of Facet lines. Dial plots are yellow and slightly incomplete but not bad. In fact I think the dial is good apart from the slightly inconsistent plots. Hands dirty and signs of multiple removals. It is always better to buy a 105.012 with original pushers rather than service, and always better to buy one with an extract. There are simply too many alternative calibre 321’s from that era that are potential donors for transplants. Ignoring the price this is a good buy. For the price? Well a little strong but I think it should sell as it is a pretty much an up together watch, with a lot of good attributes. Hard to find a better one on the market today, without saying this is a fine example. Its good, and there are not many available, and this might push the price beyond what a private sale may yield. The watch looks a bit dirty, which is a good thing, it could be original and therefore less fiddled with. It will be interesting to see where this ends up. The subdial is creeping, but I would expect to have to service this anyway. I would like to know the serial, to check if it is in the brown series, (2911 or 2960). I think the dial is slightly brown. The DO90 bezel is either dirty or damaged. That makes a huge difference to the value, obviously. If all those marks simply wipe off, then we have a great watch….if its is damage….then not so much. Either the dial is spotted or there is a lot of dust on the crystal or inside. Once again, we need to see more or inspect in hand. The plots look to be devoid of lume but it may be the photos. I think I could like this, subject to inspection in hand. 220 bezel. I personally do not see much extra value attributed to these bezels – yet. We are all waiting I think! This looks all correct but it seems a strong price. The lower subdial is creeping. There is a scratch over the subdial but I think it is in the crystal. The dial, (subject to checking the scratch) looks good. I can see this selling. Its quite nice, and appears correct. It will need a service. Lets see if the market does value this bezel. Watch looks a little tired and original. A fine one will sell for double the estimate, but this is not fine. They are rare, and the market sometimes ignores them and sometimes they sell for a lot at auction. We will have to wait and see. The bezel is unusually poor, so I would want to inspect the whole watch before bidding. Otherwise this looks a nice original watch that will respond well to a sympathetic service. Once again, I cannot tell the true state of the dial from the photos. There is something on the running seconds subdial that I would want to make sure is on the crystal not the dial. This could be a good watch to buy, it needs, as ever, handling in person. This has us all gasping at the price. Someone might buy this for a Gold 1969 but they would be buying the wrong box. This is for late 1969 but I have seen most with early 1970’s watches. It is in remarkably good condition. And I want it ! While we all in the collector community have smarted at the estimate, I can see this going for as much as the high estimate if not more. It is very rare, and in very rare original fine condition. Show me another, the last one I saw sold was $850 and damaged. So I would say WOK have got it right on this. (I expect they have a low reserve so no skin off their nose). Having said that I want it, I am not yet ready to pay more for this box than I have paid for some of my watches. But if I was feeling flush I would. Why? Because with something like this, its not about the money, its about the opportunity to buy. After buying this, the buyer will forget how much he paid, and will simply have one of the best condition boxes I have seen. Again the caveat here is that the box really is in top condition – it looks it, but before following my somewhat headstrong advice above, for goodness sake see it in person. It is important to see if this has a stepped dial or not I am pretty sure from examining the photo it does not – it is more desirable with the stepped dial, but correct with both. Something unusual going on where the rehaut (metal ring under the crystal) has obscured most of the T SWISS MADE T.
The bracelet is not the expected 1171 but possibly original. These 1171 bracelets are gaining recognition and value in the last 12 months, but this is not that bracelet so the value is not there. Not bad at the lower estimate, although there are currently better alternatives for similar money or less on the Sales Forum on OF. I would love to reproduce the photos here, but I do not have permission to do that, and as you will see, they might not want to give it. Estimated at 4000 to 6000 sterling plus fees. At today’s rates, that works out at USD$5585 to $8375. So not crazy price-wise. (Until you add 30% buyers premium). Lets look at it, I have to describe it without photos so do get it up on another screen. 105.012-65 marked inside case back. Movement 2262xxxx which is too low for a -65. Actually I have not seen a Speedmaster with 2262xxxx number so I would want an extract before paying. EDIT: Since writing the number in the listing has changed to 22827825 and now falls into line with expectations. Or I misread the site, oops. Correct dial, in fair to good condition, dirty (Algae colour) plots, not so attractive. Close spaded T marks. Service pushers, not sure about crown – but it looks ok from what I can see. Case band appears in better condition than the rest of the watch, including the case back and bezel. This needs investigating to eliminate that this may be a service case band. Service bracelet later than 1970’s. Replaced hands that look very white. The auction fees are nearly 30% if you bid online. (which is why I always book a telephone bid). The case band is really worrying, and if buying the watch needs to be inspected. In conversation with the auctioneers, they disclosed the watch is from a private source, who frequently had it serviced. While that is good thing if you want your watch to work, it makes it less interesting for us! This watch is for sale on OF (see here) and its been there for a while and I wondered why. I will go through it with you now as I write. I am curious because at first glance $5200 for this reference is not expensive. Let’s examine it. I am going to use photos from the listing but I am not going to copy the whole lot over, I suggest you click on the link and have the page open while you read. That’s better. Now we can get a better idea of what is here. I always find it easier to look at a watch the right way up, and also adjusting the white balance a little. One of the things I always look for in a 2911xxxx serial is the dial colour. Even if it has not gone as far as tropical, it often has a pleasant shade not seen in other series. As far as I can see its a very presentable 145.022-69. True a little worn, but really how many have we seen for sale? The seller has described the dial as having all the lume removed. The white balance of the photos disguises this, but it is apparent. The dial otherwise seems in fair to good condition with the printing intact. I would see this watch as a perfect candidate for a re-lume. In the next photo the plots can clearly be seen as missing all lume, but the white paint is full. (Ideal for re lume). So the dial is let down by the lack of lume, the blotching at 6, and possibly 4, and the crumbly edge. Otherwise the dial looks good, the concentric rings are clear. The hands look correct and in good condition. Its not a fine dial but it is not bad. As the movement is 2911xxxx then we always look for hints of brown – but I do not think there is any here. We can see damage on the crystal and the seller has declared it as non original. I would replace it. The claim is serviced and it may well be, which makes it even better value. The bezel is a correct DO90. This always makes valuing these watches difficult because such a high proportion of the value rides on the bezel. If this bezel were released on its own then I expect on Ebay this would sell for perhaps $1000 – 1500. It could go for more. It is damaged but I have seen people fight over worse. The bezel really is not so bad. I would rather have this than a service replacement. Now also included in the sale is an original, trapeze logo 1171 bracelet. These are now selling for over $400 and could again get more. So in summary this watch has problems of appearance, but it has been serviced and comes complete with correct parts and a correct bracelet. The seller asks $5200. I cannot see it as expensive. Especially as I have really not seen any of this reference for sale. I feel I do not need to add that I have no connection to the seller, or the watch. If I had to guess, I would say the sale has stalled due to poor photos that don’t show the true colour, nor the attraction that I am sure this watch has. Also perhaps the price was too high to start with and the watch over exposed at a poor time for selling. It also may be an illustration that while the market might pay double this for a top example, one like this that can be criticised on several high value points is harder to value. Since writing my friend Ewan started an interedting thread over on OF and out of this thread comes the concepts that this is a dull time for sales, (Pre March) and that forum sales are higher than this time last year, based on average sale. All interesting stuff, go and have a look. 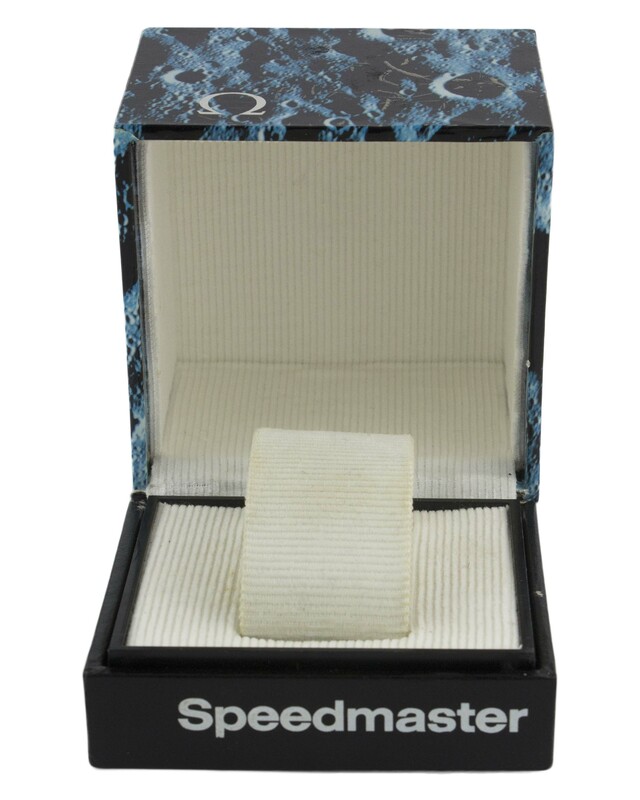 Like many a well enjoyed collectable, Speedmasters have attracted those with a profit motive. Now a collector has to compete with an investor or dealer, and has few options to acquire from private sources anymore. So we are left to buy from dealers, collectors or auctions. 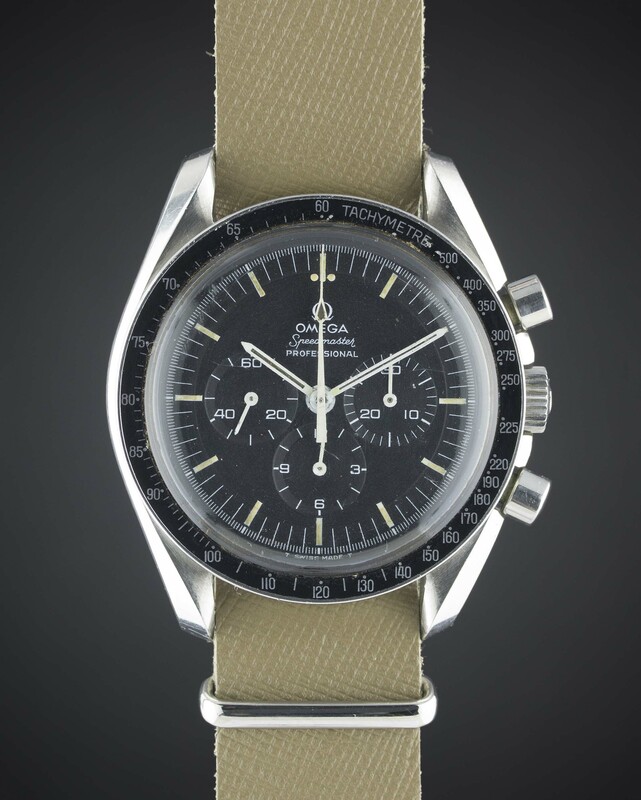 The Speedmaster was, for a long while, an enthusiasts watch, or with the later vintages, a chance to buy an inexpensive version of a current model – as the 2006 version was only slightly different to the 1978 version. The c1994 version with the tritium dial was even closer to the 1978. 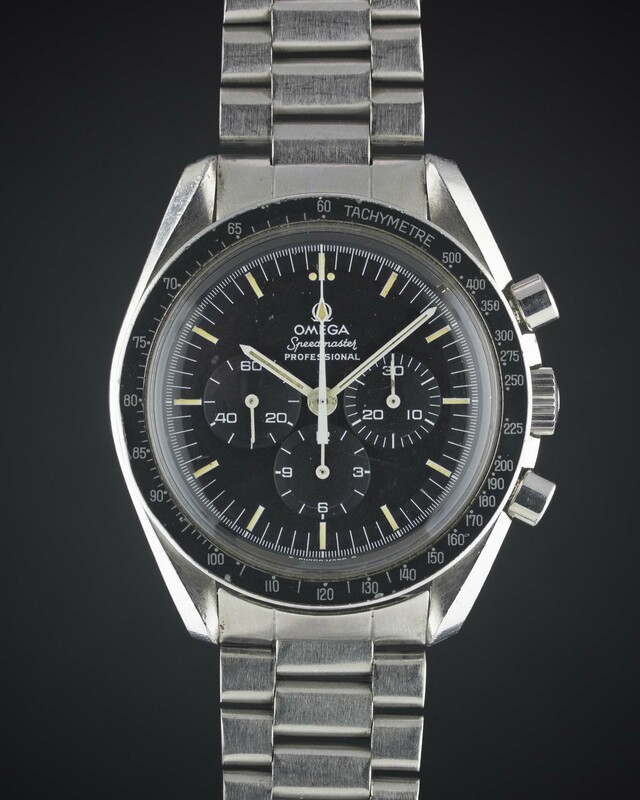 When I first bought a Speedmaster they were around $1000 to $1500 and hardly anyone knew the difference between the models – often dealers would only differentiate between the movements, and the price range was considerably less. A symptom of this was that very few people understood a 105003 and for a long while these traded at $2500. Hardly anyone had seen a 2915 let alone traded one. Sources of all my early watches were ebay, pawn shops, the odd watch show and charity shops. The watches were almost all from private people and wide ranging in quality price and value. Frankly eBay was by far and away the most bountiful source. The choice was incomparable. 105.012 from the Salvation Army. This was a one owner watch that while not perfect, had the aura of honesty. As a result I paid about 10 – 20 % over what the market thought was the price. This photo is post service, and as you can see I have preserved the appearance completely. This is the kind of watch a “fund” will ignore, a dealer will “Improve” and a collector will simple enjoy and value unchanged. On eBay things started to wake up, and when Speedmasters started going for more than $1500 we saw eBay carrying four to ten private Speedmasters every week. These watches were owners watches, or their beneficiaries, and often I was buying a watch that was unopened and sometimes I never knew what I was going to get. 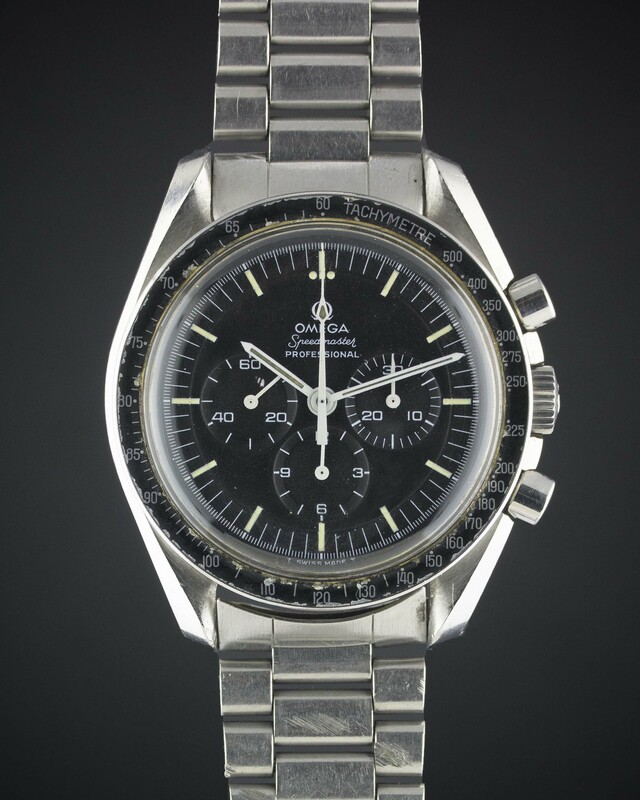 Here is a 105.012-63, sold as a “1970’s Speedmaster”. I paid $1650 for it, and I did not know what I had – to this day it is one of my favorite watches. 105.012-63. 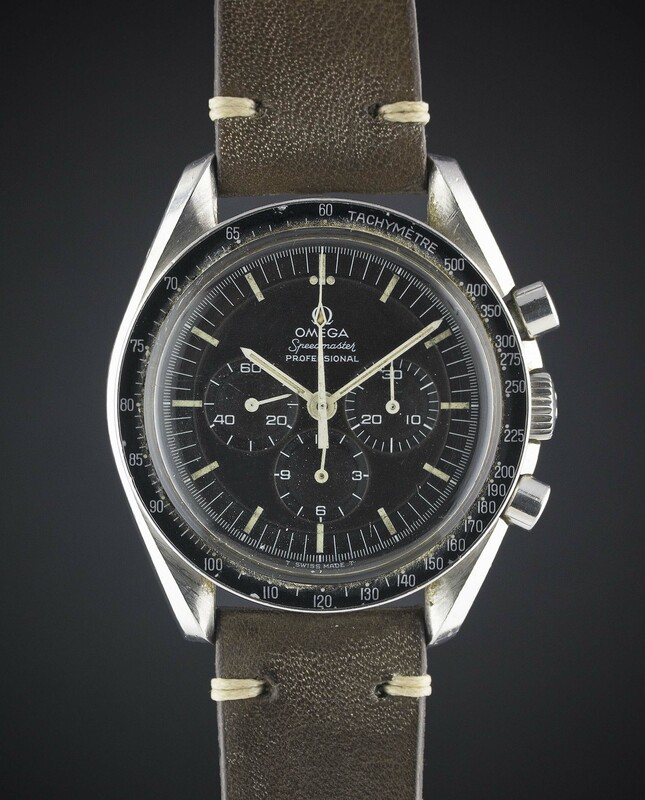 One of my earliest purchases, for $1650 from Ebay, There were three photographs, and described as a “1970’s Speedmaster”. At the time I might have slightly overpaid for an 861, but this was an all time bargain. This is not something I think will be repeated anymore. There were many watches, and many buyers. Most were private buyers too, but the rising market was attracting flippers, or perhaps we can call them gentleman traders. Any fool seemed to be able to make a couple of hundred buying a poorly photo’d watch from a dark corner of the countryside, cleaning it and re presenting it. This rise in values has coincided with an economy where the money in the bank devalues as you look at it, and men (it is nearly always men) began to buy and sell watches outside of their primary occupation, and do well. They (I?) would rather see money in watches than stagnating in the bank . Many people have now decided to become watch dealers – though I wonder how well they do, and how much of their personal moral code they have had to leave behind. 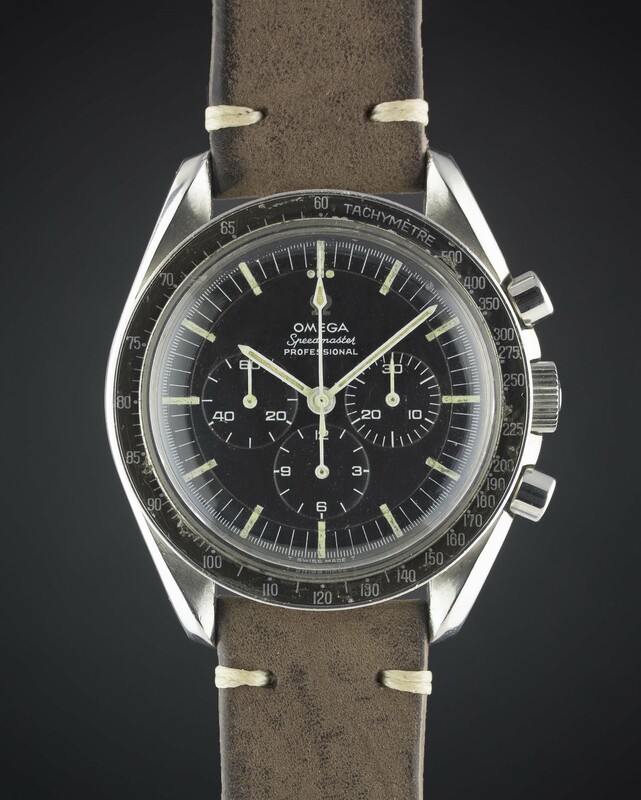 What I am pointing out is that the source of Speedmasters has changed from private individuals, to dealers and collectors selling on watches that have often been tidied up, restored or prepared in some way and so lack the originality of an owned watch. As a result, true one owner watches are attracting a premium, a premium that is hard to justify in the cold light of a commercial analysis. These watches have borrowed the term Barn Find from the vintage car market, perhaps as so many of us collectors have connections to vintage cars too. 105.012 Sold on Ebay for just under $5,000 with 1039 bracelet. While on first glance this could be a barn find, (the pushers look original) this watch is offered by someone who knows how to dismantle a watch – not many real owners can do that. Still I think it was a good buy even with the dial issues, which are not as bad as some. Photo from listing. Auction houses too, have increased activity and turnover. We now have major auction houses scheduling two or three important auctions a year, as well as several minor houses with regular auctions. Unfortunately, like the dealers who prop up the auctions, they don’t really have the depth of knowledge that a motivated collector in this field has. They might develop this knowledge to a certain extent, as they have in the art and jewelry market, but as yet the watch market is nascent by comparison. The jewelry auction business has seen great shake ups as the wider world discovered about Ruby origins and heat treatments as well as Emerald oiling and resin to name just two cataclysms that rocked the market. A lot of people bought stones that cannot be sold for 20% of what those charmers in the Auctions sold them for. I believe we are in a similar (pre – cataclysm) time with watches and so we see high profile sales of re lumes, lasered cases, and even down right fakes. Remember, auction staff work only for the benefit of the Auction house, not you, the buyer, and the only reason the seller benefits is as the Auction houses best interests are aligned with those sellers….and just watch how quickly a seller is abandoned to the sea of contract law if the buyer fails to complete. A visit we made to Christies New York December 2015. On the right is a 2915-1 with a re cut case. This was offered as original by Christies, but acknowledged by staff at the sale as refinished. It was auctioned without any special mention for $125,000 and subsequently the sale was removed from any records by Christies, although I was assured the sale completed to a happy buyer. This I have no doubt will change, but buying at any auction should be done without placing 100% confidence in what the experts at the houses say. Until the Auction Houses get caught red handed selling something expensive and miss described, they wont learn. Keep watching Orchi Palar on Instagram! He is calling out auctions and dealers, though I don’t know the Rolex market well enough to know if he is right. I do however enjoy the idea that someone is watching. We are seeing the emergence of watch funds, and this is extremely dangerous for the market. Consortia are congealing, gathering investors into hegemonous groups that go into the market and buy watches for investment, with the idea of selling back into the market for a profit in 3 to 6 years. While this might sound like a good idea we have to go back to basics and identify the flaw. Three unusual dials. These cannot be quantified or priced, as they are so rare the price depends only what two people are willing to pay for it on the day of an auction. As a result, Watch Funds could catch a serious cold buying these. Who buys watches? Men, for the most part, who want to “own” them, for the pleasure of owning them. To give pleasure, the watch must have attraction, and give pleasure to this owner each time he sees it. The fact that it has two lines of red text, or a BASE1000 bezel, is a given, not the reason he (I?) like it. Auction houses need the dealers. They set the floor in any market, scooping up anything that the private buyers do not want and preventing the auctions from holding piles of unsold watches. They prevent that awful situation where there are no bids, and an item is returned unsold. An unsold item is bad for everyone, even if the houses usually manage to stiff the poor seller with unsold fees. The private buyer in the auction is where the action is, but the dealers are paying all the bills. That’s why when you go to an auction the auctioneer is always so cozy with the dealers, making private jokes from the podium. The auctioneers need the dealers to hold their trousers up. So the market is set when two private buyers fight it out for a desirable piece. True, they may be only fighting themselves for a little while, but its still a price arrived at in the open. These private buyers fight for the watch because they like it. Perhaps it was flown to the space station, or owned by an astronaut. It could be that the dial is that attractive shade of brown that tickles the pleasure buds. To be clear, two people do not fight to the financial death over a DO90 bezel, a brown dial, or even an Arab crest, just because of the bezel, the dial or the mark. They fight because they desperately want it because it touches them in a way a piece of modern art might. It does not have to make financial sense. A dealer, or a fund, will look for items to fill the stock. “I need a couple of straight lugs” a dealer might say, or the fund might allocate a budget for 10 brown dials. 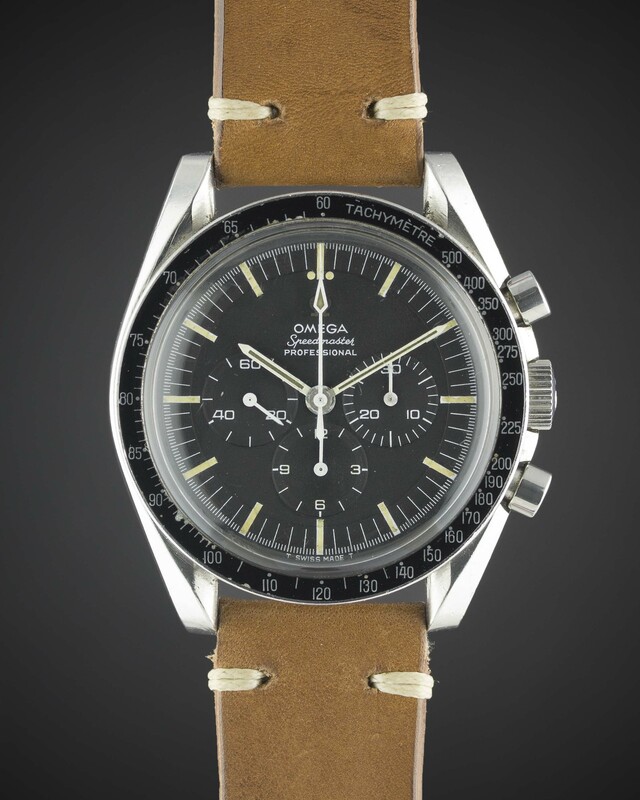 Or twenty 1970’s speedmasters. Now we come to the second problem with funds. We all know when two crazy privates fight for a watch – the price goes up to the point where all but two people in the auction think it is crazy, and even when the hammer comes down, the winner often thinks he is still crazy. With the funds, they are not spending their own money. They think that the watch will appreciate 10% a year and so if they over pay 20% on a five-year investment they still come out 30% up. And anyway, its not their money. So funds actually push the price of “ordinary” watches higher, while not being brave enough to buy the really special pieces. Because they don’t have the balls to fly that high, always needing a consensus from committee, so that no one can be blamed in five years when they sell. So while the funds might push some, the really super special watches, like blue dials, or black racings, might just escape them. So now imagine two funds in the auction. Neither are buying the watch because they like it, its because they have decided they see growth as a result of certain conditions being met, e.g. it is brown, has a BASE1000 bezel, it is a straight lug. So now instead of the private setting the top of the market, it is a fund, a group of people with no individual taste pushing a watch that is replaceable, but they need it because in order to pass the audit is has to come from auction, and we have now a situation were the privates have dropped out because the do not like the watch, but because the watch fills a set of criteria, the funds think it is the perfect investment piece and while they pay more than another fund, they pay way more than a private would. At the end of the day, the value must be set by the ultimate consumer, the collector. It is after all the collector who will buy the watch at the end of the fund’s investment period, unless the model is so successful that another fund comes along and buys it. For the private buyer, like me, I am focusing on one owner watches, preferably with papers, and always with an extract. For that, I will pay a premium, one that is impossible to put in the chart. There is an acute shortage of wonderful examples. Perhaps those of us who have some feel no pressure to sell. These are genuine rarities, and until there is a flamethrower at their backsides collectors wont sell. A little Ebay Project you can buy…maybe! I used to enjoy buying speedmasters in this state, but the prices have risen strongly and the risks are quite high now. This watch is presented without a bezel and missing a pusher cap. The dial plots seem very white from the photos and the handset seems vintage and correct. The crown is not. The bracelet is scrap. When considering a watch like this, the first thing is to wonder how damaged the movement is from the missing pusher. Sometimes this can allow moisture ingress that over time causes damage. Well the photos are not the best, but we can see there is no serious corrosion. We can also see that although the seller describes the movement as like new, each screw shows marks. A good watchmaker will service a 321 movement without leaving those marks. I also check the column wheel just to make sure it has all its columns, and this one does. The clutch bridge is the correct shape, and thats about all I can get from the photo. The movement number fits the range. However it is 2500xxxx and I see this in 105.012’s as well as Seamasters. I am not saying it has problem, just that here we have an incomplete watch, with no history. How happy would you be if you paid a lot and found that Omega would not issue an extract? Just remember it is a possibility. The major negative on this watch, apart from having to find a DO90 bezel, is that the dial is not that attractive due to the washed off plots. How much is it worth? Well three days to go and its around $2500. Thats cheap, but I think double this is too expensive – so somewhere between.